Welcome to the practice of Dr. Aimee Valleau, Dr. Christopher VanDeven, Dr. Jessica Massie and our exceptional Staff. Whether you were referred by another dentist, a friend or colleague, or simply found us searching the Internet, we are so glad you are here and are excited to share with you what makes our pediatric dental office so special! Voted a TOP Dentist for kids by GRkids 3 years in a row!! We believe what sets our office apart is the kind, gentle, and compassionate care we provide all of our patients. We understand that children are not “little adults” and their bodies and minds are constantly growing and developing. This is why pediatric dentists are so important! Drs. Valleau, VanDeven, and Massie are the pediatricians of dentistry and have additional qualifications and expertise to care for your child’s oral health throughout all stages of childhood. In addition, our office understands that all children cope with new situations differently. Our wonderful staff takes pride in making all children feel comfortable, relaxed, and even making a dental visit fun! Education is the focus of our practice, which is why our doctors feel it is important to take their time getting to know each patient and their family. We value parental involvement and we welcome parents and guardians back into our treatment area. We believe that with the right approach, parents and guardians can enhance the positive experience for their child. If treatment does become necessary, you can be certain that our doctors and staff will thoroughly review the treatment options, the costs associated with treatment, and the behavior management plan to assure a safe, calm, and positive experience for your child. 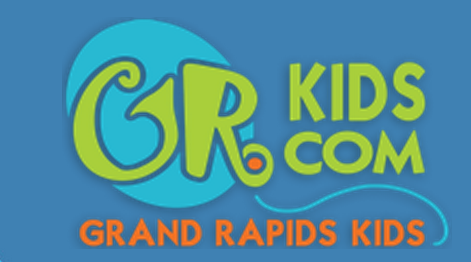 From the moment you walk into our Grand Rapids and Rockford offices, you will be greeted warmly and have the opportunity to relax in our cottage-inspired, beach-themed waiting areas while your kids keep busy enjoying the play kitchen or watching the fish in our huge saltwater fish tank! Back in the operatory, we continue the relaxing atmosphere where we utilize the highest standards of care and the most up to date techniques and materials available. As parents ourselves, we understand that our children are the most precious people in the world. We built our practice around the needs of children and our doctors take their roles as members of your child’s healthcare team very seriously. Call our office to schedule an appointment for your child and experience why Valleau, VanDeven, and Massie Dentistry for Children is such a special place. We look forward to welcoming you to our family. All of our Pediatric Dentists are board certified!